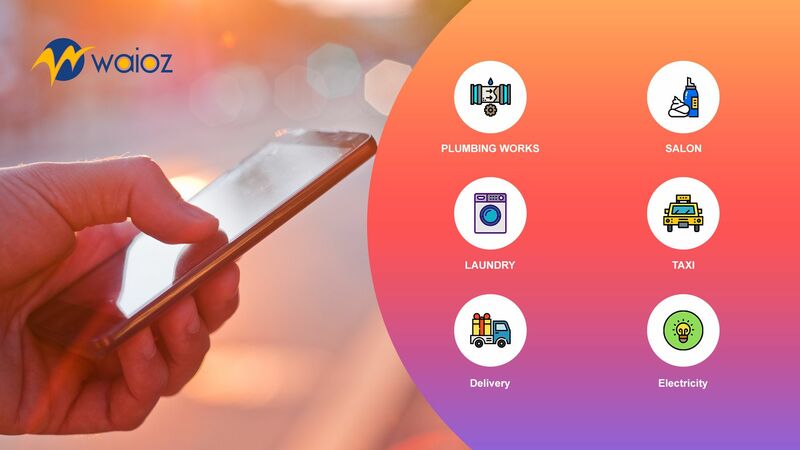 With on demand services making huge inroads in digital economy, many entrepreneurs around the globe are resorting to on demand service applications to gain economic stronghold. Revolving around so many domains, on demand applications can be the action point to digitalising various walks of life. With people resorting to applying digital trends in supply chain, various companies have looked up to the success of others incorporating on demand services. Years of tech revolutions in the industry has manifested in new economy trends. Once you narrow down on the field, researching the market is imperative to choose the features and functions to make your application unique. The flow of the application is decided by choosing the actors. The ones who demand the action to be done, and the ones who supply the task process. Defining these action points are key to forming a strong base for your on demand service application. Studying the use cases in your target area is additional perk. Once you have done your brainstorming part, you need to define the flow and the user interface of your application. It is well known fact that the to retain onto your application user pool, you need to constantly work on your user interface and maintain the application’s simplicity and effectiveness. The flow and the functionality should be defined for both the supplier and the user of the application. The best practise to go about with this is to create a minimum viable product (MVP). WAIOZ has built a full scale basic on demand service application framework that can be your perfect MVP for your business application. 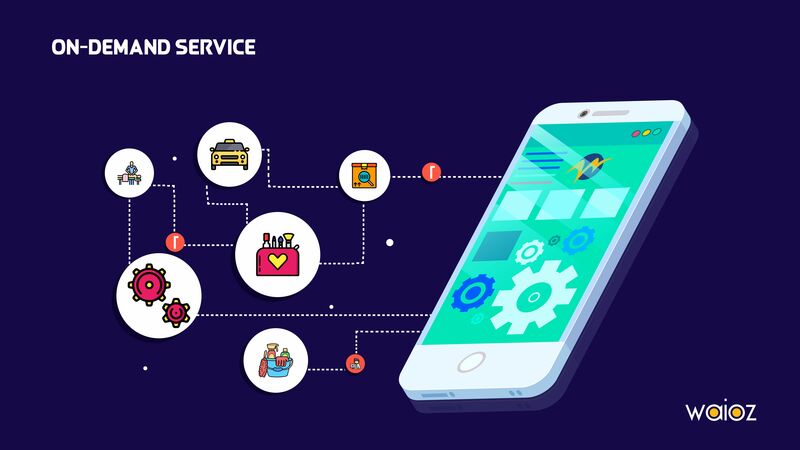 Most on demand service application are governed by some key features that make your app easy and effective to use. Push notifications are extremely key in allowing both actors who supply and demand a product of the request process. All the more key in user applications as it alerts users of the product or service arrival or process. Tracking of the service be it live tracking or process tracking has become a must in customer applications. It facilitates the users in keeping on top of the status of the service. Live tracking examples can found in applications like uber while the status tracking can be found predominantly in courier and ecommerce applications like amazon. The service flow between the supplier and customer ends only when the payment is transferred to the supplier. This is mostly done via the admin in most cases as they garner a service cut as per the business model. A payment gateway solution that allows for the customers to pay via debit/ credit card or wallets and a direct payout system that transfers the payment from admin to the service provider. Once the process a complete, a feedback system is important in maintaining the reputation of your service. A system that allows each party to rate the service or product and allows a write up review is essential. It allows other users to have an overview of the service requested by that particular provider. It also facilitates the admin to have control over customers and providers and cut out fraudulent users. Apart from these key basic features, there are plenty more features that narrows down your application to your business niche. WAIOZ expertises in identifying these key features that will help your application to stand out in the market and add credibility to your application by developing a quality application.